MKH passionately connects community through the creation of spectacularly-intimate experiences of theatrical, indie-entertainment as well as other artistic events. MKH, curates, features and promotes award-winning and emerging talent from the New York and Philadelphia Region. In addition to launching a popular and successful mix of museums and theaters, her most recent, yet personal success was the premiere of the wildly-popular, New Feathers (at the Raven Resort 2017), a new works reading series, followed by her current creation and co-production, The Art of Sound's Unplugged Series. Next-Up for MKH in producing: New Feathers will be proudly spreading its wings at one of the leading arts institutions of the region, the James A. Michener Museum this fall through December 2018. Interested?? Whether you're the talent or the venue, reach out to Producer and PR/Marketing, Arts & Social Entrepreneur, Mandee Kuenzle Hammerstein and find out how to curate and launch your next creatively-entertaining, professional success! MKH produces, launches as well as consults on all matters of art, media, marketing and business. 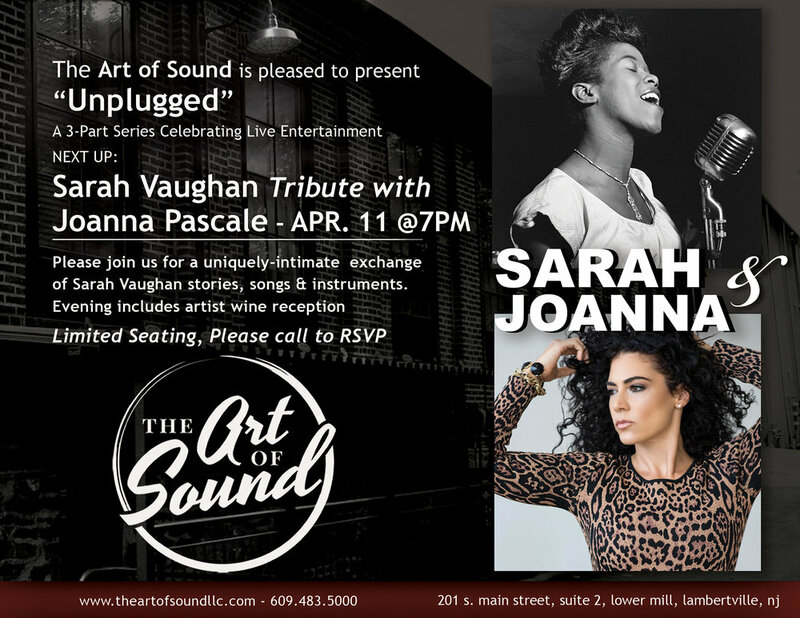 Below: A combination of MKH promotional branding materials and event, candid imagery, capturing the essence and success of the Unplugged Series at The Art of Sound in Lambertville, NJ. Unplugged is running monthly through June, 2018.